Governor Kim Reynolds at her weekly news conference. 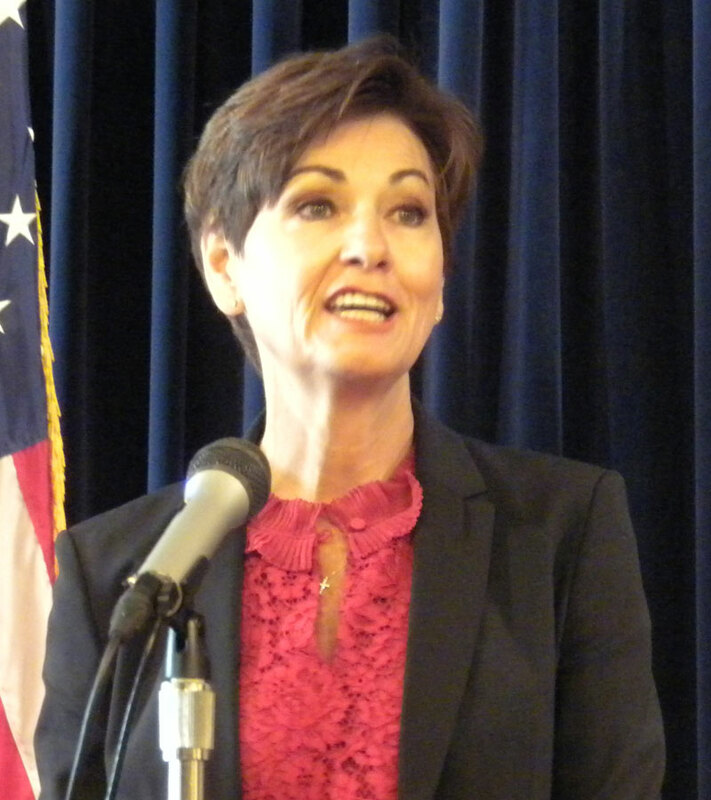 Several department heads have announced their resignations in recent days, but Governor Kim Reynolds says that’s a normal thing as she prepares to take over for her first full term. Reynolds took over in May of 2017 to fill out the remainder of Terry Branstad’s term. She was the first woman to be chief executive of the state and then became the first woman elected to a full term as governor. New governors and presidents often times ask for the resignations of all department heads when they take over, but Reynolds says that’s not the case with her. “I had not asked the agencies to submit a resignation — and it’s not something that there’s not a certain timeline that I need to meet. We can take the time to put the team together and put the right team in place so that we can help move Iowa forward,” Reynolds says. The leaders of the Department of Public Safety, State Patrol, Corrections Department have all announced they are retiring. The governor’s chief of staff announced that he is leaving to return to the private sector. Reynolds says she doesn’t comment unless she has been directly involved in bringing the legislation forward. “You know, I am open to taking a look at it. And this is the process to go through to make that happen. That’s how you start the dialogue and if that’s what’s going to happen that’s the process that it needs to go through. So, like anything else, we’ll see what it looks like,” she says. A commission made up of eight people appointed by the governor and eight people elected by lawyers currently reviews the applications of those wishing to be a judge and ultimately selects three nominees that the governor then chooses one from to become a new judge. The governor was asked about FEMA’s denial of her appeal for disaster assistance for Buchanan, Dickinson, Polk and Winnebago counties. “We knew it was going to be a long shot with the appeal — but I wasn’t going to leave one stone unturned — we were going to do everything we could to reach out the federal agency if we could bring additional resources into the state,” Reynolds says. She says a lot of the damage was from the tornadoes and that damage is often covered by insurance. “That is part of it.. with flooding a lot of times there’s not the insurance coverage there. But with tornadoes there tends to be more insurance coverage with that. So, that’s part of the report that we submit to them,” Reynolds says. Reynolds says they are looking at a lot of other resources to help tornado victims and have already put some of them in place.